A fresher alternative to split pea and ham soup, this soup can be enjoyed all year round. Heat oil in a large saucepan and add onion and garlic. Lightly cook for 5 minutes or until softened. Add water and CONTINENTAL Professional Gluten Free Garden Pea & Ham Soup Mix and bring to the boil, stirring continuously. Simmer for 10 minutes. Reduce heat, add ham and peas, and simmer for another 2-3 minutes. 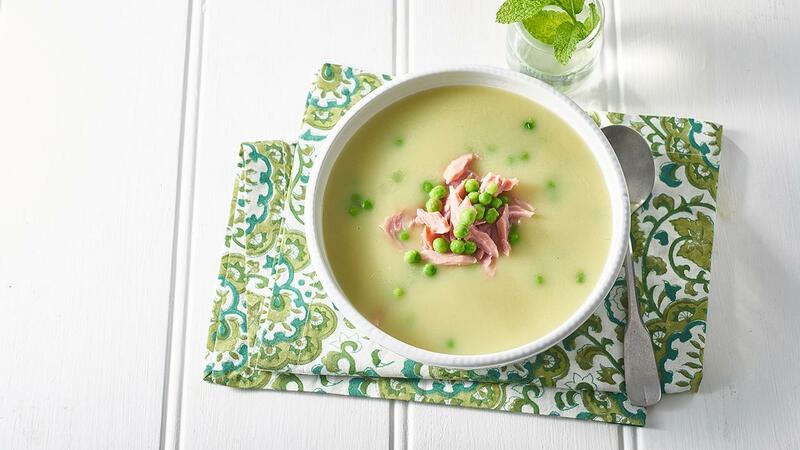 Serve green pea and ham soup with crusty bread. Add garnish of diced ham and chives.